Clinic Synopsis: Burnout and stress are everyday realities for music educators. In this experiential and practical clinic, the presenter will provide insight into the roots of stress that music educators experience and offer how educators can work as their healthiest and best selves. Participants will acquire tools to use when their work becomes stressful and overwhelming. Clinician Biographical Information Nathan Langfitt is a licensed professional counselor and psychotherapist in the greater Austin area. 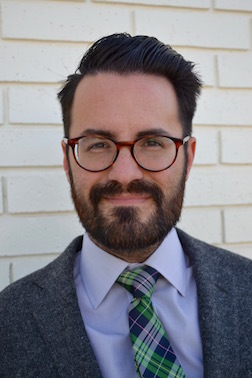 He is the counselor-in-residence for the College of Fine Arts at the University of Texas at Austin, providing mental health services to the students of the Butler School of Music, among others. He also maintains a private practice where he provides counseling to professional musicians. He has spoken at various conferences across the country about the importance of teaching music in a manner that encourages positive mental health. Before he was a therapist, Langfitt was a music educator in Milwaukee, Wisconsin and Austin, Texas.